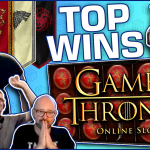 Today’s Casino Streamers Biggest Wins – Week 15 of 2018 comes on a special moment for us. This week we celebrate our 2 year anniversary of Casino Grounds. 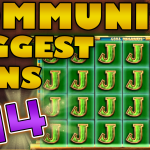 Thus we scoured the online casino streaming section to bring you the best slot wins from your favorite slot streamers. All the video slot hits come from the 9th until the 15th of April 2018. Lastly, if you want to try any of these slot machines, you can play them, for real money, on any online casino on our trusted casino list. To start Casino Streamers Biggest Wins – Week 15 of 2018 we go to Rex and his big win on the Dragon’s Treasure slot. The casino streamer was playing €5 bets on Casumo when he triggered the free spins feature. Moreover Rex picked the highest premium as the special expanding symbol. Even though he did not manage to land more than three premiums in one spin, a re-trigger and the massive potential of Merkur games made for a €1800 mega win. It’s getting paid time and D-Lanbs is always punctual. The slot streamer was playing Queen of Riches on €2 bets when he landed an awesome combo for a massive €851 total win. This video slot along with all other Big Time Gaming titles are available to play on Kaboo casino. Arguably the luckiest casino streamer for this year so far is Slotspinner. The German gave us yet another amazing win this time on the Finer Reels of Life game. Hence while playing €3 bets on Dunder casino he activated the free spins. Here thanks to the Coffee & Chocolate feature the win was €690. We hope Slotspinner's amazing luck continuous. Update: Video has unfortunately been removed from YouTube. Only a few days ago, I stated that I had never seen someone win big on the Falcon Huntress Slot. Now Shirox comes with a sick hit to prove me wrong. The casino streamer landed a full line of the best symbol to get the 500x. Thus his €5 bet turned into an epic €2500 win. This game is available on Highroller, as well as, most other online casinos. Finally a big win for my favorite slot streamer Hugo, who last week was playing on LeoVegas. Playing one for the best slot games fo the year Fat Rabbit, he got the bonus. Moreover thanks to plant of carrots landing during the free spins, his SEK 10 bet truned into a great win of SEK 5000. 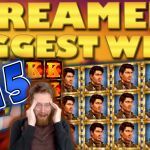 We close Casino Streamers Biggest Wins – Week 15 of 2018 with Nick and his sick run on the Knight’s Life slot. The Brit was playing £5 bets on calzone casino when he hit a typical Merkur slot bonus. The result was a staggering £5275 total win. However things did not end there as moments later Nick landed one more big win, this time in the base game. 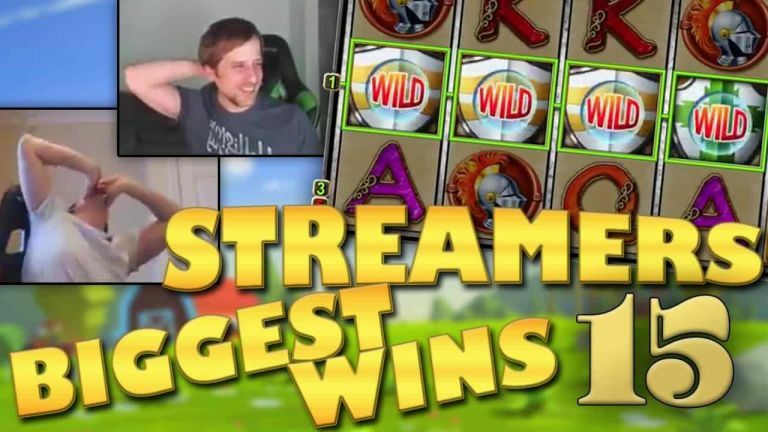 Tell us which win on Casino Streamers Biggest Wins – Week 15 of 2018 was your favorite. Share your thoughts in the comments. Also make sure to check our other videos on CasinoGround’s YouTube channel.